Jack and Jill of America, Inc. Montgomery Chapter shows support! - Hearts & Homes For Youth, Inc.
Jack and Jill of America, Inc. Montgomery Chapter shows support! 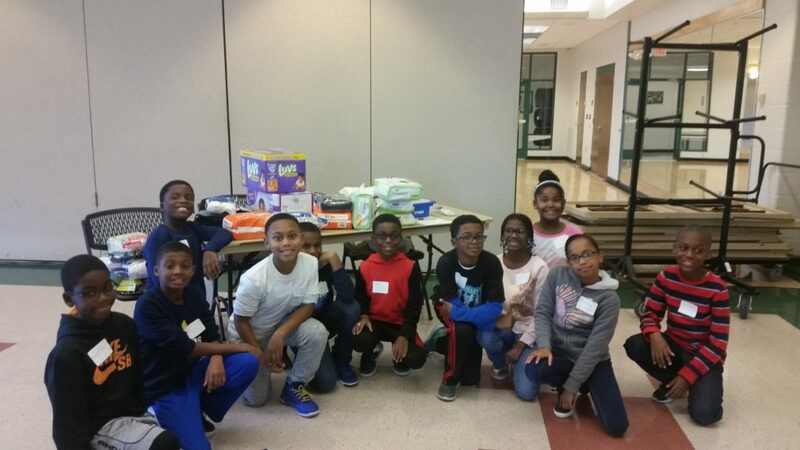 On Saturday three social workers from Hearts & Homes for Youth Damamli/TFC programs met with kids involved in the Montgomery County Chapter of Jack and Jill of America, Inc. and spoke with them about the different types of homelessness and the different people affected by homelessness. Following the discussion, the youth broke into groups and developed short skits to demonstrate particular problems faced by individuals experiencing homelessness. They reflected on the feelings and struggles facing these individuals on a daily basis, and brainstormed ways to demonstrate compassion for people in such situations. The youth donated cookies they had decorated along with over 500 diapers, over 1000 wipes, over 30 pairs of socks, and over 35 under garments for youth in Hearts & Homes for Youth’s Damamli/TFC program. The donations are greatly appreciated and will benefit many young mothers and foster youth in our care!